1/ Add the peaches in batches to a food processor. Pulse the processor until the peaches are just chunky. 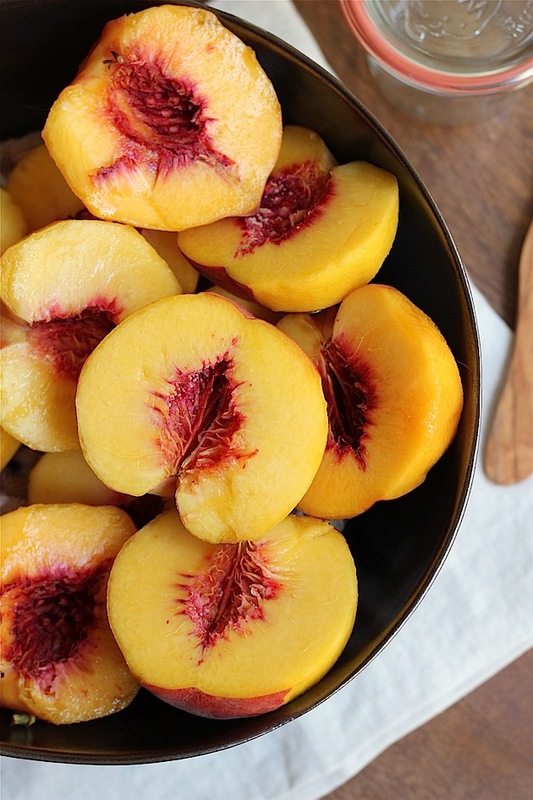 2/ Add the peaches to a saucepan and add the sugar, lemon juice and salt. Stir. 3/ Bring the mixture to a boil, stirring frequently with a wooden spoon. Boil for about 10-12 minutes, or until the jam sticks to spoon. The mixture will foam and come close to the top of the pot as it boils, so be sure not to leave your stove during this process! If it looks like it is going to boil over, then reduce the heat slightly. **Makes about 3 cups and lasts for about 2 months. Oh my goodness...this looks amazing! Can't wait to try. Oh yum! 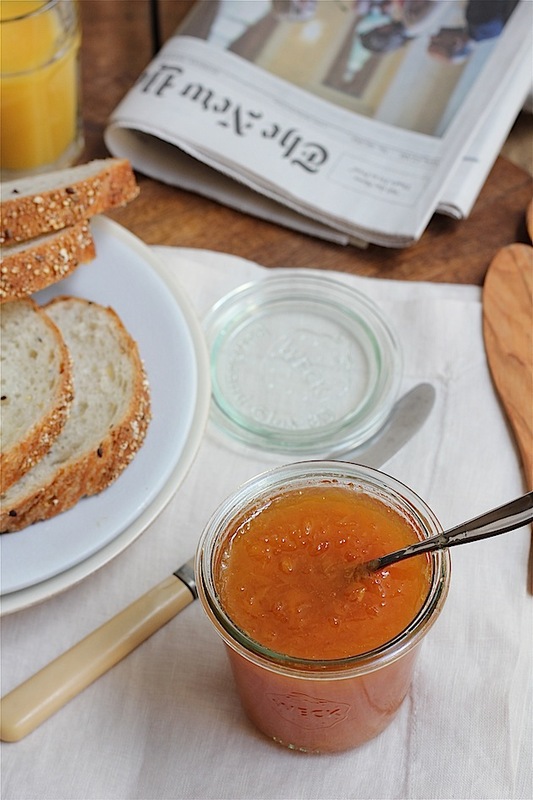 To know that your grandma made jam, it makes it that more sweet! These pics are gorgeous! Oh my, oh my that sounds divine! 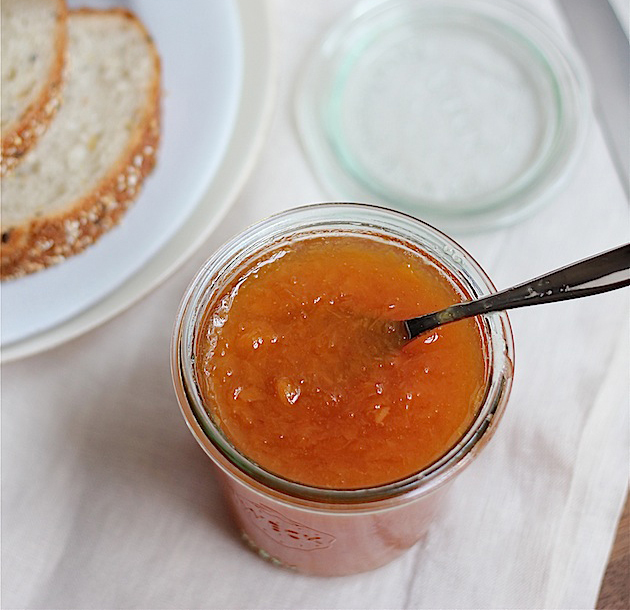 I was just thinking about trying to make a peach preserve for a tail gate recipe. I might try this! Looks and sounds DELICIOUS and so easy to make! Yummm! I should try this! Looks delicious!